BRYAN EATON/Staff photo. 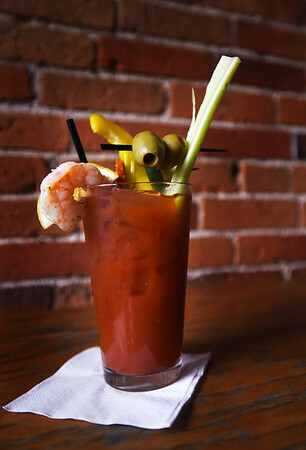 The Thirsty Whale's famous Bloody Mary is served anytime, but come with garnishes that could make a meal on Sundays. They also sell out of them on Thanksgiving morning.